← Gold Coast.. sure why not? It is currently 230pm on Monday afternoon, and only a few short hours until I leave to the airport. My last couple days in Singapore have been amazing. Justin is honestly the most amazing person for housing me the last 2 weeks, and he has really put up with me better than anyone ever has. He says he is sad and doesn’t know who will entertain him when I leave, but I secretly think he is kind of excited to be able to see the floor in his room again, with the absense of my luggages, and sleep in his own bed for the first time in 2 weeks. Friday was spent once again relaxing. Saturday, Justin and I headed to Bogis which is this AMAZING outdoor market/bizarre with the most unique clothes, shoes, accessories and bags imaginable. For about 60$ CDN I was able to get a purse, a dress, a pair of shorts, 4 tops and a few shot glasses. Good thing Justin only gave me a half hour here, or I would actually be broke. Sunday the 22nd was Chinese New Years Eve. 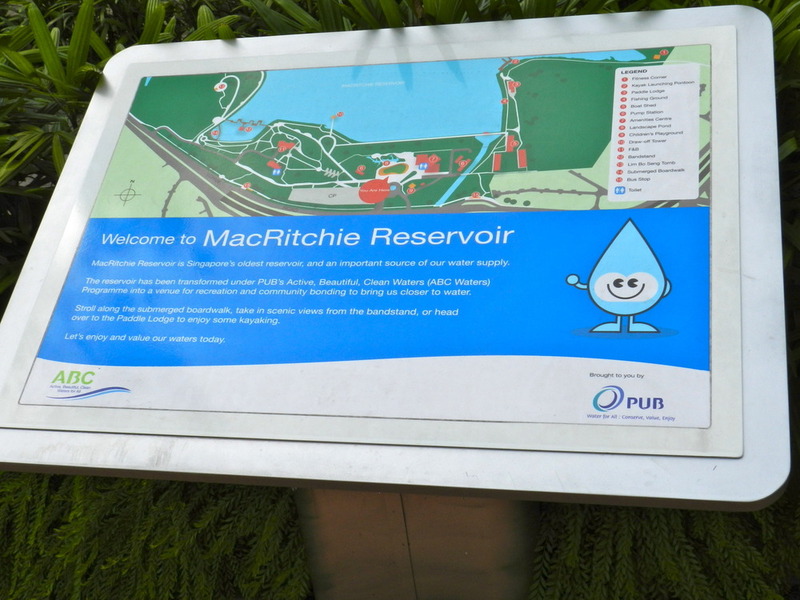 We spent the day going on a 10km tree top walk at the Macrichie Resevoir Park. At the entrance of the park was a large “family” of monkey which I fell in love with and spent way to long taking a photoshoot of them. They are the funniest animals ever. I was really disappointed that we didnt make it to the Singapore Zoo, but since I was able to see animals in their natural habitat, I got over it really fast. As we made our way through the nature reserve, we were able to see various species of wildlife; plants and animals. It was so hot and humid the higher we got, and the closer we made it to the top. When we finally arrived, it was absolutely breathtaking. The view from the suspension bridge was spectacular. 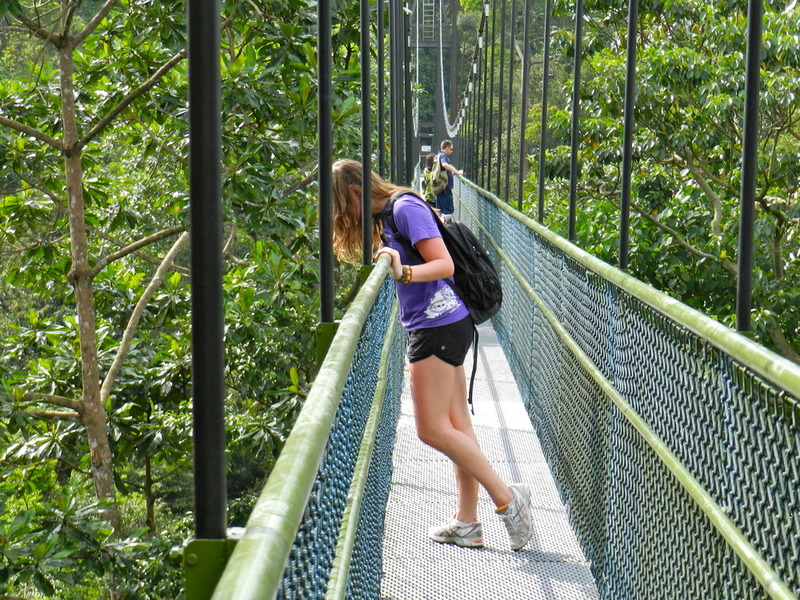 Our descent from the tree top was just as exciting as the way up. 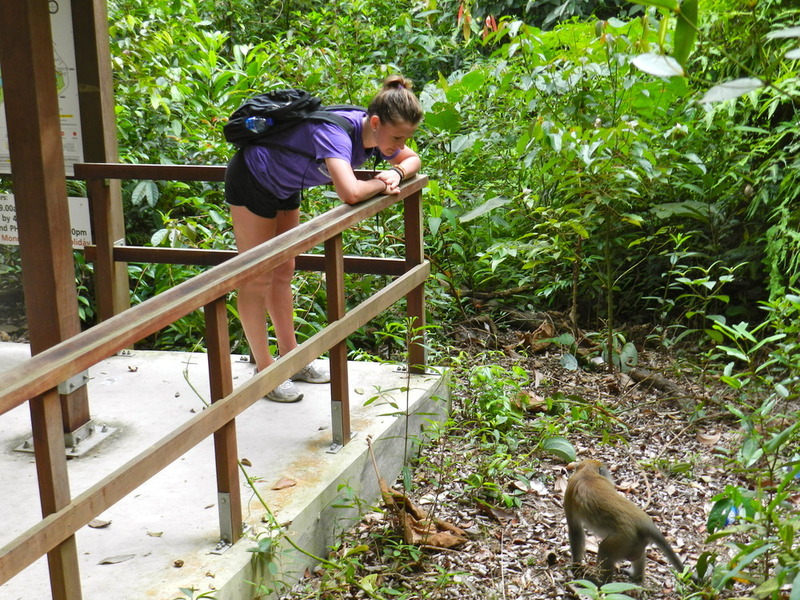 I was able to get even closer with a monkey, and had a serious staring contest with it. It showed it’s teeth to me however, so I think I lost cause I was afraid it was going to pounce on me or do something unexpected and monkey-like. As we continues on our hike, two lizards probably thought it would be fun to jump out at me and scurry by my feet. rude. 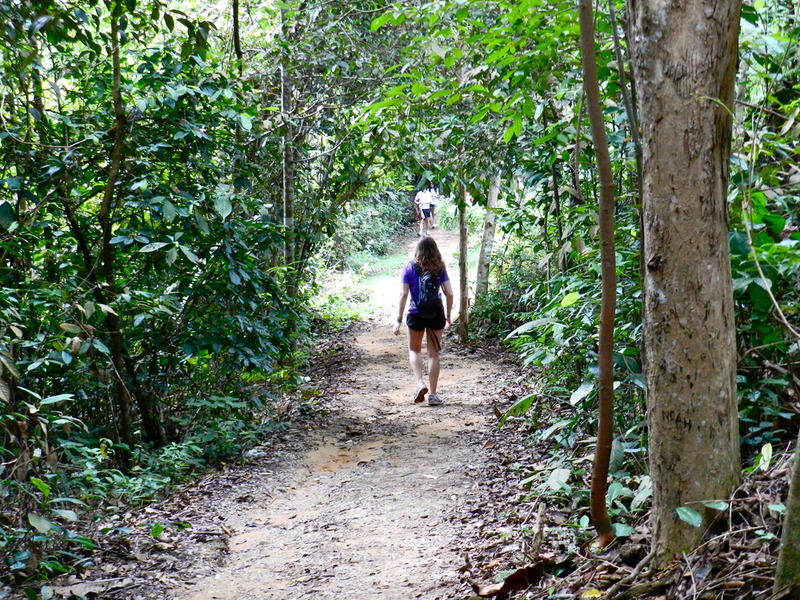 Overall the nature reserve was so beautiful, and the first bit of exercise I have done since being in Singapore. 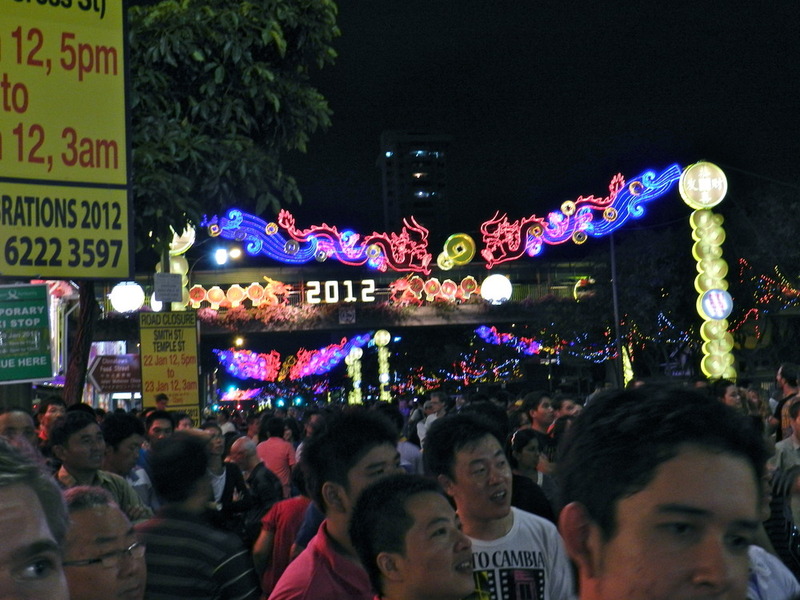 Chinese New Year celebrations were next on the itinerary for my last night in Singapore. We first headed to Chinatown which was an absolute ZOO! It was so packed, and it was impossible to move anywhere. There were dancing dragons, people singing and lots of people surrounding the main stage watching the live show. 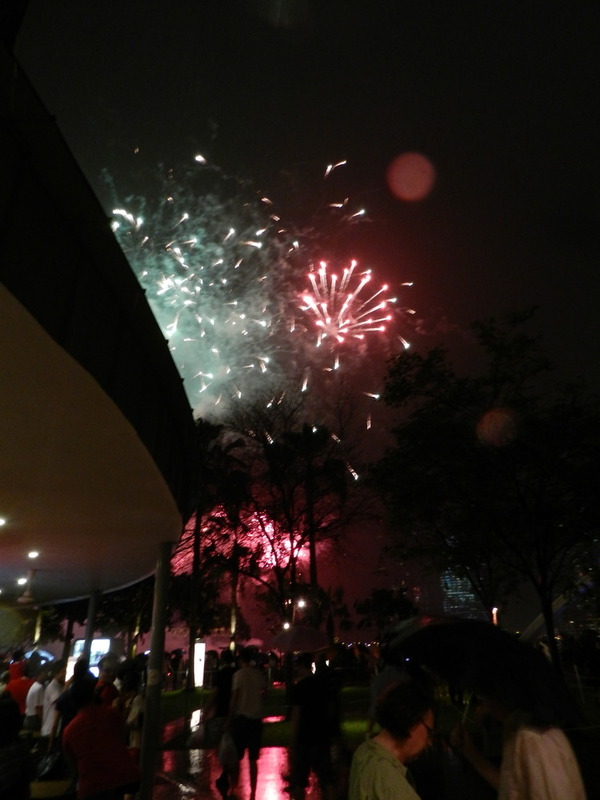 It was now time to head to Marina Bay were the fireworks were going to be taking place. After grabbing dinner, the rain began to come down hard. I joked to Justin about if the “dragon” is the controller of water, it would of ensured it didn’t rain on Chinese New Year. not that great of a joke, but at the time I thought it was clever. These fireworks were the most spectacular and elaborate fireworks I have ever witnessed. I wasn’t in the greatest mood at the time, and wasn’t feeling quite myself, howevere these fireworks turned my mood right around. They were set over the water in front of Marina Bay Sands, and it was something you would see in the movies. Despite the torrential downpour, every rushed out of the shelter to get a better view. My already see through shirt, got even more see through. 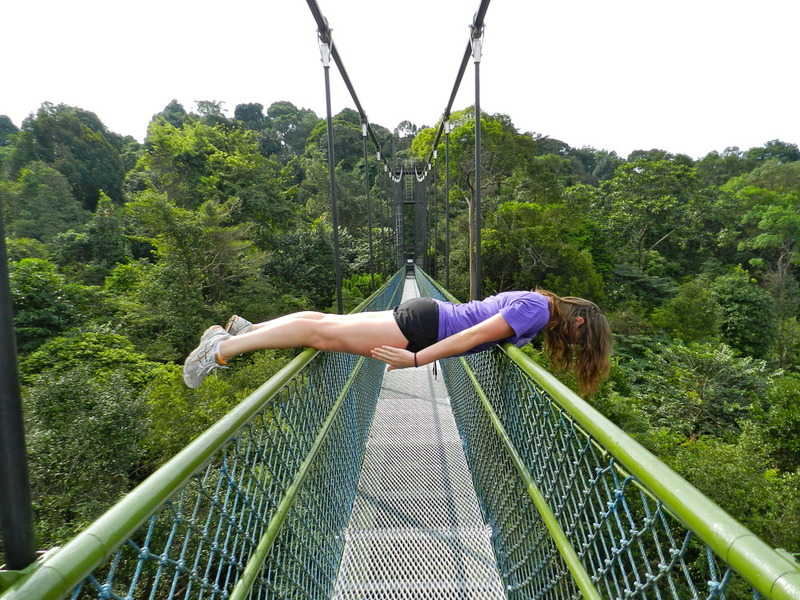 It was SOO worth it though, and was the perfect ending to my trip to Singapore. 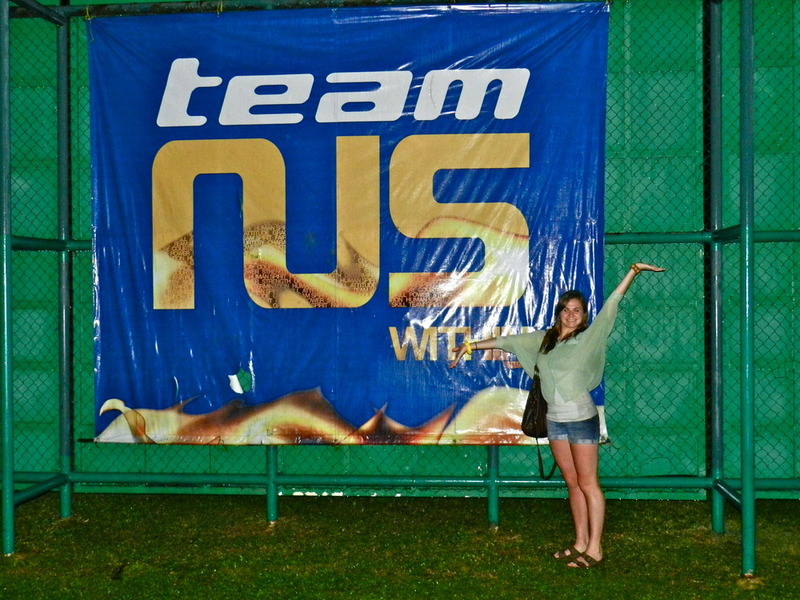 After the fireworks we ended up heading home and on our way we walked through the NUS campus. Taking pictures at every possible photospot occured quite frequently. 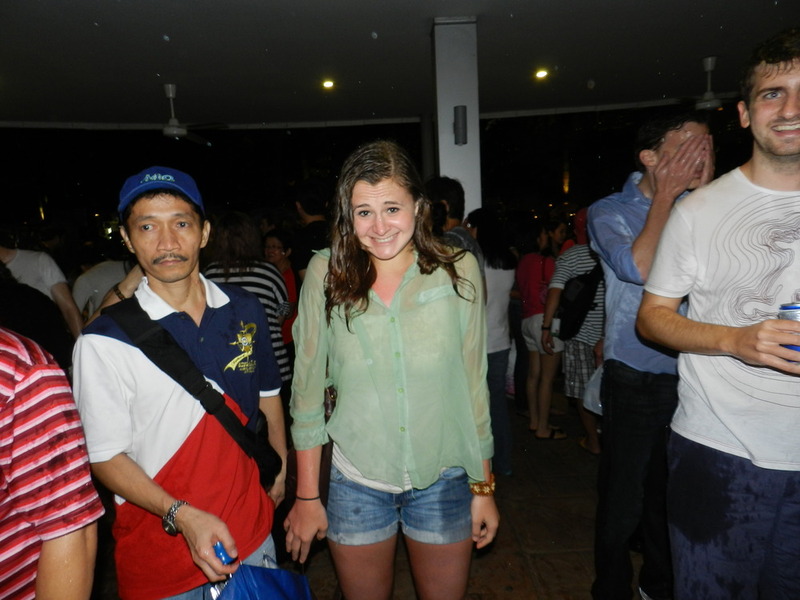 This was definately one of my favourite memories in Singapore so far. It is know 330pm, and as I reflect on my time in Asia, I can conclude I love it here. Everything has been amazing; the people, places and memories. I have taken so many pictures, and I love looking back and seeing everything I have done in such a short period of time. I catch my flight to Melbourne tonight at 830pm, and will be greeted by friends on the other end in the morning. This is when my real adventure begins. I have been living a real vacation here in Singapore; living out of a suitcase. However whilst in Melbourne, I will be starting my new life. I like to think of this experience as a commercial break from my real life in Canada. As if my life was just put on pause, and I am taking these 5 months to accomplish many things I always have wanted to, while being able to study… I’m really excited to finally settle down in my own place, and unpack. Living out of a suitcase is alot harder than you’d think haha. It’s time to end this blog post. Time to chill/cheese/moss out with Justin and my new friends for the last hour I have in Singapore. It’s been great and I wouldn’t trade this experience for anything in the world. I am so happy I am able to get started on my new/temporary life, and hope you can all follow me throughout my various adventures.